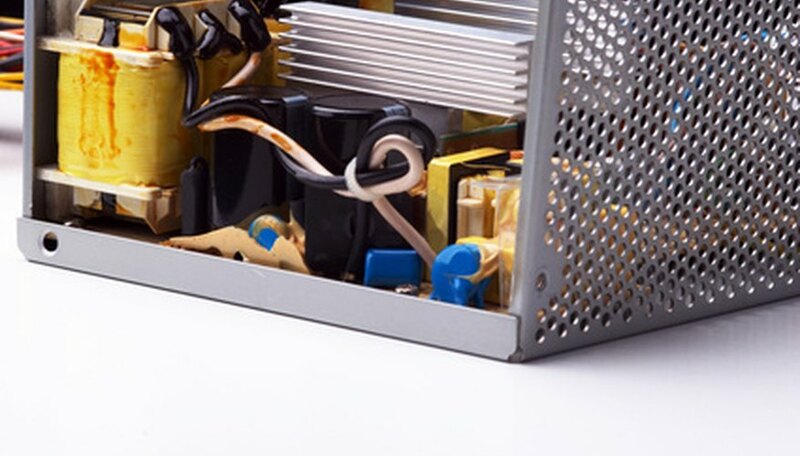 Zener diodes are often used to regulate power supply voltage, that is, produce a voltage level that is constant even when the supply’s voltage varies. However, a Zener diode is not perfect. The Zener voltage will only be generated over a specific current range. And the Zener voltage will vary slightly over this current range. The Zener diode ratings that are needed to design a voltage regulator include the power dissipation rating, the minimum knee current rating, the maximum current rating and the Zener voltage. With these ratings, you can determine if the Zener diode will work for a specific voltage regulator design. Translate the Zener diode rating acronyms to the actual electrical specification. Don’t get confused by acronyms like Pd, Vz, Izk or Izm. They are shorthand notations for electrical specifications. Pd means power dissipation, Vz means Zener voltage, Izk, means minimum knee current and Izm means maximum Zener current. 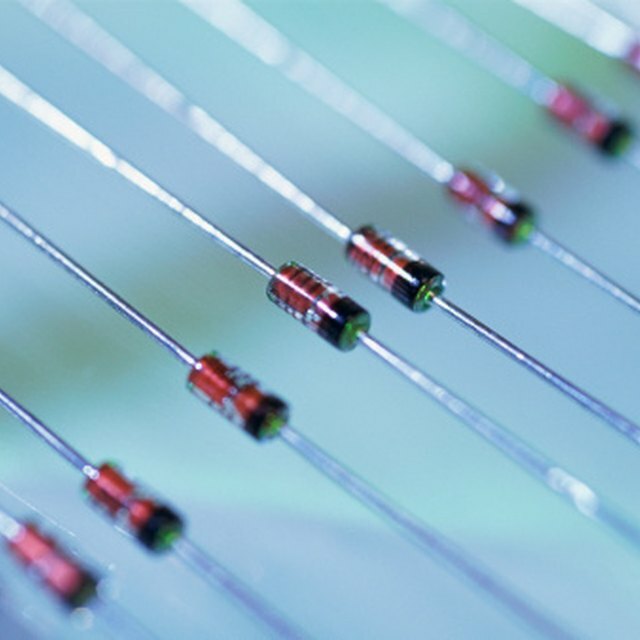 Also understand that different acronyms and names for Zener diode ratings often are used. Zener voltage is also referred to as the Zener breakdown voltage or the Zener avalanche voltage. Learn what a Zener diode does. It requires a minimum current level to flow through it to generate the Zener voltage. The manufacturer does not explicitly state a minimum current level that will guarantee the Zener voltage. Understand that if the current that flows through a Zener diode is too high, the Zener diode will be damaged. This maximum rated current is often called the maximum Zener current, often abbreviated Izm. Also, if the power dissipation of a Zener diode exceeds the maximum power dissipation rating, Pd, the Zener diode will be damaged. Remember that the power dissipation of the Zener is equal to the current flowing through the Zener multiplied by the Zener voltage produced. The minimum Zener knee current, Izk, is used to guarantee a minimum voltage that is less than the Zener voltage. Instead, the current flowing through the Zener must be greater than the maximum reverse current, abbreviated Izr, to absolutely guarantee that the Zener diode will produce the Zener voltage, Vz. However, a Zener may produce a voltage very close to the Zener voltage at current levels much lower than the reverse current and as low as the minimum Zener knee current, Izk. Because of this, it is often common to assume that for applications that don’t require precision voltage regulation, the minimum current required to produce the Zener voltage, Vz, is 10 percent of the maximum Zener current, Izm. The Zener test current rating, abbreviated Izt, is another current level that will guarantee the Zener voltage, but it is not a minimum value. And the variation in the Zener voltage, Vz, with Zener current will be minimized when the variations in current flowing through the Zener is near Izt. For best voltage regulation, the current flowing through the Zener should be near the test current rating and above the reverse current rating, Izr. Stansberry, Mark. "How to Read Zener Diode Ratings." Sciencing, https://sciencing.com/read-zener-diode-ratings-6160739.html. 24 April 2017.